In the 40 years since the 1971 origin of Operation Recycle, the non-profit Ecology Action Center (EAC) has grown into a major resource for numerous environmental and educational programs, events, workshops and classes. 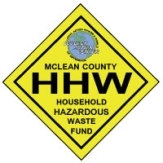 Solid waste and recycling, storm water education and storm drain stenciling, online communication through the website, and newsletters are just some of the programs the EAC provides to the community. Operation Recycle founding father Derek McCracken is recognized for his efforts. A “one-time” recycling drive was planned for and held over a weekend in February 1971. Sites were set up at five locations in Bloomington-Normal: Miller Park, Park United Methodist Church on Allen, Illinois State University (ISU), Illinois Wesleyan University (IWU), and Sears. WJBC radio host Don Munson heavily promoted the recycling drive on the show Problems and Solutions. 105 tons of paper and more than 20 tons of glass were collected that weekend. “We were so swamped that I couldn’t visit the other sites,” McCracken said. “Ham radios – that was my way of supervising and getting things shuttled around.” The response was so great, the decision was made to continue having drives. Operation recycle’s first director, Myra Gordon, leads educational tours of the recycle yard. During the next 11 years, recycling drives continued to be held every four to seven weeks at three locations in Bloomington-Normal. The people who organized the drives needed a name, so Munson came up with “Operation Recycle.” The all-volunteer Operation Recycle depended on volunteers from area churches and scout groups to staff the recycling drives. A cadre of regular volunteer site-supervisors took charge of the three sites used regularly: Park United Methodist Church, the Sears parking lot at Eastland Mall, and an ISU parking lot at the corner of College and Main. Ham radio operators continued to provide communications for each drive. ISU provided an old truck for the drives. “ISU had a beat-up, old truck they let us use,” Myra Gordon, Operation Recycle’s first full-time director, said. “We borrowed or rented the rest of the equipment wherever we could find it.” The City of Bloomington donated trucks for collecting tin cans and drove them to Morris Tick Scrap Dealers on Mondays. Simpson Paperstock often donated trucks, and the company’s owner, the late Everett Simpson, became a long-term friend and supporter of Operation Recycle. Irving Tick, head of Morris Tick, also worked with the group over many years. Operation Recycle sold the tin and aluminum collected to Morris Tick, the glass to the Owens glass factory in Streator, IL and paper to a paper recycler in Peoria, with the overflow often going to Simpson’s. Later on, paper was sold directly to a recycling firm in Chicago. More than $10,000 in profits from the sale of the recyclables was donated by Operation Recycle to improvement projects in McLean County. These projects included landscaping for the Normal Public Library and Normal Train Stop, tree planting in Bloomington’s Miller Park, and the development of ecology trails at ISU and Girl Scout Camp Peairs. Operation Recycle even had its own Johnny Appleseed. Farmer John English would grow trees on his farm, and volunteers planted them all over Comlara Park; the fully-grown trees there today are a result of these early efforts. Operation Recycle leadership spoke at churches, civic clubs, and in schools about the need for recycling and how to get involved. They also pushed the city councils of Bloomington and Normal to take a more active role in recycling. Thanks to these pushes, the cities and Operation Recycle partnered on an early curbside recycling experiment and later on a very short-lived “pay as you throw” experiment, in which residents paid for the amount of trash they produced, while recyclables were picked up for free. A second curbside recycling trial ended with mixed results. The continuation of the curbside effort was hampered because the market for newsprint dried up completely, and the cities had no storage facilities for long-term collection. Utilizing Normal’s recycling bins is a way of life everyone can participate in. The recycling and educational activities grew so much, Mid-Central Illinois Operation Recycle began talking of becoming a full-time recycling operation in the early 80s. In order to handle recycling effectively, warehouse space, liability insurance, employees, and trucks were needed. Operation Recycle set up drop boxes around town where residents could recycle anytime. A recycling buy-back operation was opened where people were paid for the materials they brought in to recycle. This worked both as an economic incentive and as a litter-control program. In the summer, the buy-back would offer special promotions for kids at the buy-back, providing free Happy Meals and other incentives thanks to donations from local businesses. After a few years, the volume of recycled materials grew from 200—300 tons a year to 1,000 tons. Corrugated cardboard, high-grade office paper and bimetal cans were added to the list of materials that could be recycled. Operation Recycle became one of the first centers in the state to recycle plastics, using funds from one of three state grants that Gordon received in 1987. As part of a collaborative effort among five recycling centers in the state, Operation Recycle obtained a small grinder and started accepting and recycling plastic milk jugs. “The grinder only accepted one jug at a time,” said Gordon. “And it had to be cleaned often of milk residue before processing could continue. Large quantities of cardboard and paper had to be recycled when the Internal Revenue Service had to replace the former year’s forms with new ones, and also when Country Companies needed to dispose of 3,000 cardboard boxes from new desk chairs. Large quantities of glass were also recycled. Glass bottles became obsolete when the soft drink industry replaced refillable, glass bottles with plastic ones. Some of the biggest soft drink producers called Operation Recycle asking for help. More than 1 million glass bottles came from area bottling companies, including the Coca-Cola bottling plant in Decatur. Other towns in addition to Bloomington and Normal began recycling and environmental education in the early 90s. 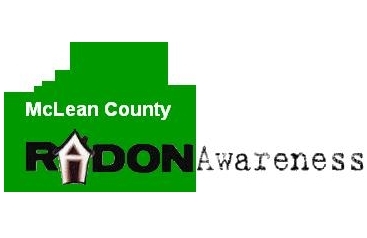 Chenoa, Lexington, Heyworth, LeRoy, Hudson, Lake Bloomington, Towanda, and Colfax were among the first towns outside Bloomington-Normal to become actively involved in the recycling effort. The village of Danvers worked with Operation Recycle in 1990 to create the most successful rural drop-box program in the state. The Hewett house had served as the home of Illinois State Normal University (now called ISU) president Edward Hewett and five boarding students in the late 1800s. More than a century later—in the mid 1990s—the Town of Normal purchased the house for the large parking lot behind it, to provide more parking spaces for the Normal Library next door. Due to recently enacted Historic Preservation plans, the historic house could not be torn down. The first workshop in the building was led by Greg Koos of the McLean County Historical Society for homeowners and restoration contractors. Koos pointed out the New England-Style Victorian architectural features, such as skylights around the door, wood or coal stoves, and the use of many doors to minimize drafts. “David S. Anderson was town manager then,” McGowan said. “Dave decided the best use for the house would be for the proposed Ecology Action Center to use the downstairs for public education and as a branch of the library.” The town later granted the EAC use of the upstairs, as well. McGowan and EAC board member Jan Elfine determined how the different areas of the space would be used. “Jan suggested the walls be painted very light gray to show off posters and displays,” McGowan said. “She also suggested we carpet the curved wall of the front hall before the wobbly plaster fell off.” They decided the front hall would house free information, the dining and living rooms would serve as meeting and classroom space, and the side room would be the office. Most interior reconstruction was undertaken by the EAC staff and volunteers. “This included wallpaper stripping, painting, floor stripping and resurfacing, retrofitting lights, weatherstripping, removing unwanted furniture and appliances, adding furnishings, etc.,” Elzanati said. The EAC’s first director, Anne McGowan, welcomes community members to the EAC’s grand opening. The name of the Ecology Action Center refers to Operation Recycle’s environmental education and learning center. Once the center had its grand opening in February 1995, people started calling the organization the Ecology Action Center. The organization did not formally change its name from Operation Recycle to the Ecology Action Center until 2004, even though the actual recycling work was taken over by the Town of Normal and City of Bloomington in the late 1990s when municipal recycling operations were implemented. The EAC began leading Earth Schools programs in area classrooms. The first Earth Schools Manual was written by Gordon as part of her graduate work at ISU. “This manual served as the basis of much of the EAC’s early efforts in the schools,” Gordon said. The EAC provided all of the environmental groups in the county with a location that could be used for classes, workshops, and meetings. Displays, magazines, books, and audio-visual materials were available at the Center. It also was a place where area teachers could access ECONET, the worldwide interactive computer network dedicated to environmental concerns. A tour of the EAC is an educational experience in itself. A large white oak tree, created with chicken wire and old newspapers by an IWU student, is the dominant object within the center. A variety of ecological themes are highlighted in murals painted on the walls and displays set up throughout the building. In addition to classes taught at the center, McGowan went to schools throughout the area to teach “the how, why and fun of recycling” to third graders. Known as the traveling Latin teacher from her previous days of instructing Latin classes at Bloomington, Normal Community, and Central Catholic high schools, McGowan enlisted the help of volunteer parents and college students in putting on training sessions. In order for the historic 1860s Victorian house to operate efficiently and serve as an environmentally friendly example for the community, the EAC used money from a DCEO Regional Energy Program grant in 2004 to install a geothermal heating and cooling system, soy foam insulation, and weatherization. Michelle Covi, former EAC Director, teaches students about the environment. 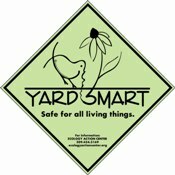 Environmentally friendly gardening, including composting and minimizing use of pesticides and chemicals, keeping storm drains and drain water clear, hazardous waste disposal and alternatives, reusing or trading objects with others, and alternative energy, such as wind-generated power and electric vehicles, are among the many areas supported by the EAC. While the EAC presents programs for all ages, a special audience is children. Today’s children—the business and community leaders of the future—have the opportunity to learn about the importance of protecting the environment at a young age. The many children’s programs have included Discovery Walks, Rainforest Adventure, Worm Works (making garbage into soil), and Conservation Kids (which includes fun games about recycling, energy, and water). 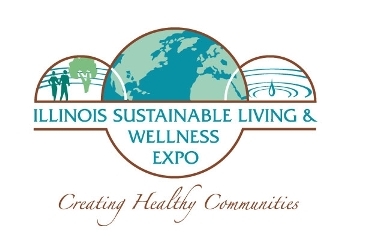 EAC learning events include the annual Illinois Sustainable Living and Wellness Expo. While it is exciting to look back at how a “one time” recycling drive 40 years ago has grown into a major environmental, educational and ecology-promotional organization, there is still much work to be done. Thank you for all you have done and all you will continue to do in the critical mission of ensuring that future generations will be able to breathe clean air, drink fresh water, and live in a healthy environment.